Hi-hat Zildjian ZXT 14" . The ZXT offers an enhanced alloy with attitude from Zildjian. With a slew of models, sizes and weights to choose from, matching our metal to your music has never been easier. Ready to make an impression? The ZXT sheet bronze range debuts with more distinct models than any Zildjian sheet selection ever. Each reflects unique cutting paths and distinctive hammering patterns designed to accentuate their sound properties. They look different because they sound different because they are different. But the bright, powerful voice they share - the ZXT alloy - is as might as any Zildjian. Maximum Choice: More distinct models than any Zildjian sheet selection ever. Four Ride Drive: Four models. Four distinctive bell and lip sounds. Crash Menagerie: Whip-fast splash, full-bodied crashes, and high projection. Beat that. 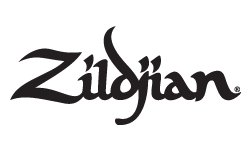 Pacemakers: Hi-hats feature Zildjian's newest design innovations. Pick your "chick." China Patterns: From 12 to 20 in.-- there's a ZXT voice for all your trashy needs. Brash to ballsy. Meet Trashformer: Explore your trashy side.